All our services are available in French. A wide range of services are also available in English. Add a link to thisChange the link to my caisse on the Desjardins.com home page. 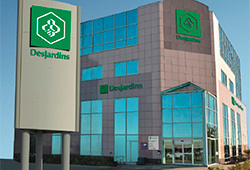 Every Desjardins caisse is a financial services cooperative that belongs to its members. As a member, you benefit from many exclusive advantages and discounts. To learn more, see Open an account and become a member. To learn more, see Open an account and become a member. What is a group caisse? A group caisse brings together members based on their job type or business sector. Learn more about group caisses.